New nursing graduates in Greater Manchester will be guaranteed their first jobs as registrants. Nursing students who study in Greater Manchester will be guaranteed employment there when they graduate. Mayor of Greater Manchester Andy Burnham, a former Labour health secretary, said all NHS providers and universities in the region have backed plans to guarantee employment for nursing students. 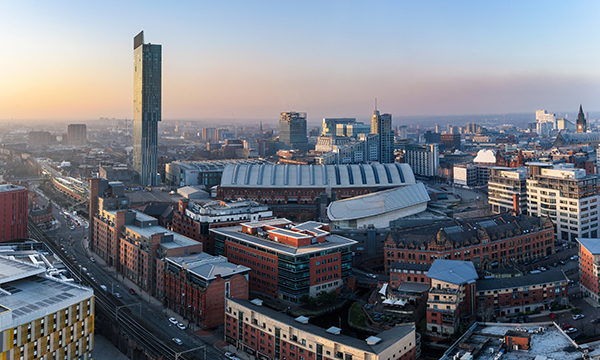 The guarantee will be offered to graduates who complete their studies at Manchester, Manchester Metropolitan, Salford and Bolton universities and will be in place for students embarking on programmes in early 2019. Greater Manchester is the first English region to have devolved responsibility for healthcare spending, worth around £6 billion annually. Health services there are being integrated with early years, education, community safety, housing and employment services. RCN north west regional director Estephanie Dunn said there was 'an unprecedented workforce crisis', with health and social care providers struggling to recruit nurses. She said: 'If successful, this scheme has the potential to make nursing an attractive career choice and the employment guarantee should increase student numbers and hopefully boost the workforce. In addition, there are plans for Greater Manchester to be the first place in England to collate and publish waiting times data for children and young people’s mental health services.